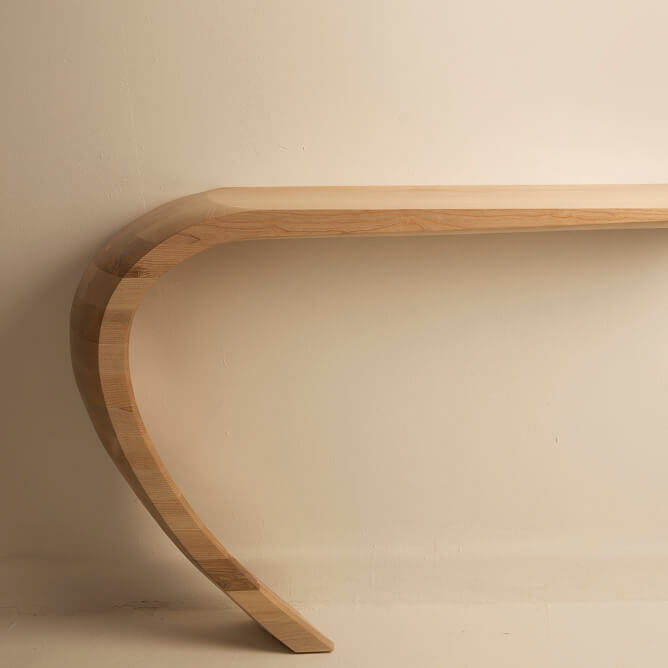 The Tephra console table although creates an impressive statement on its own as a stand-alone piece. It is fixed to the wall by invisible fixing built into its rear face and can be removed easily if required for room redecoration etc. It is available to order in a left-hand (as shown) or right-hand orientation. 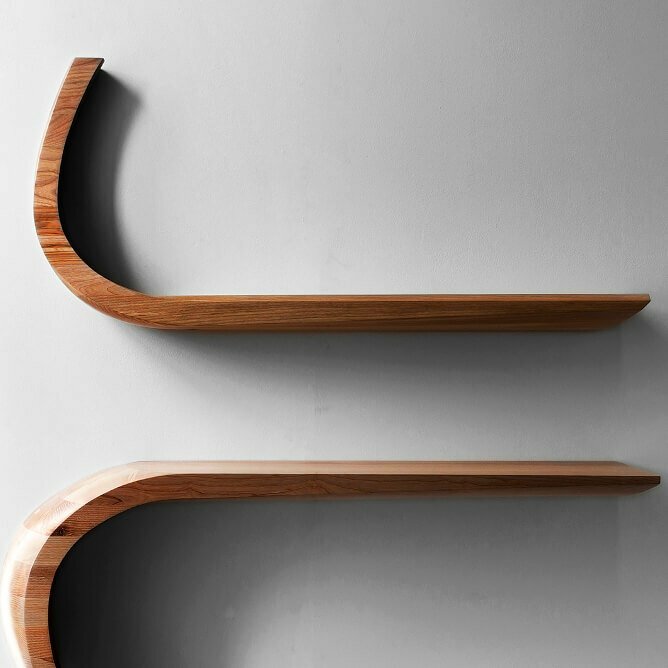 These pieces aim to reflect this natural occurrence not only in its flowing shape and structural make-up but also in its process of manufacture. 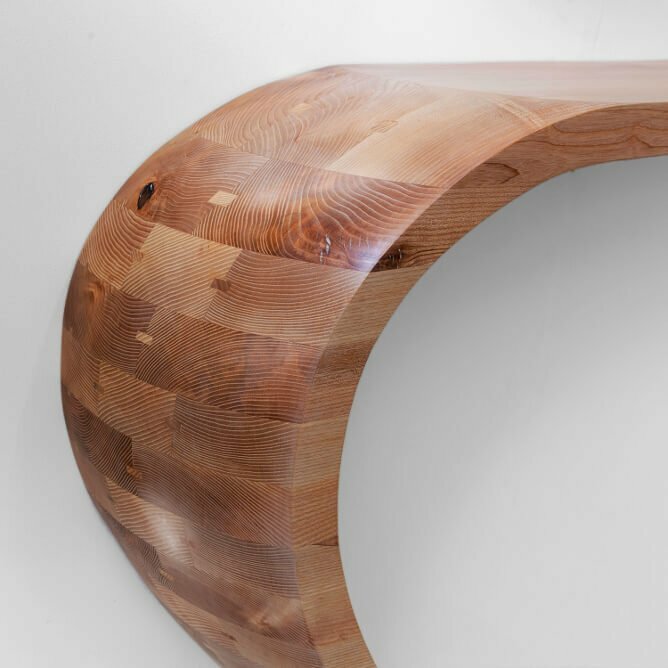 The removal of material, layer by layer, little by little over time allows the table’s shape to form a singular, flowing and smooth structure. 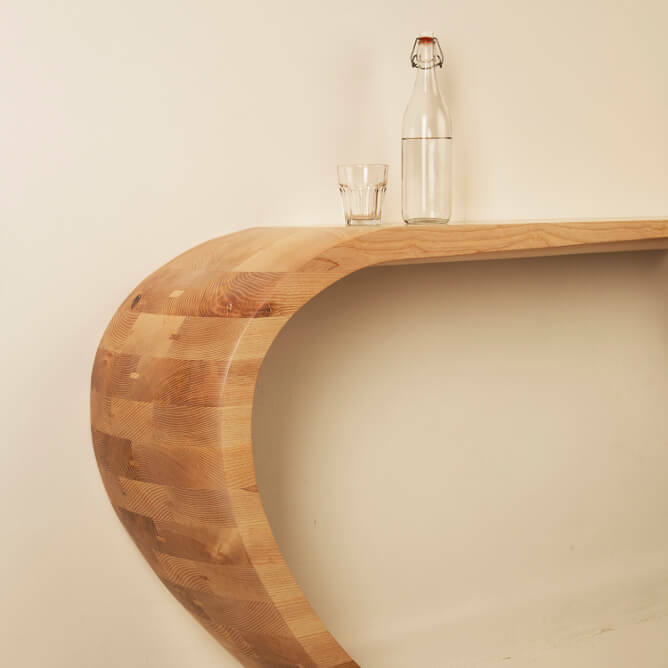 Tephra is the name given to a series of furniture pieces created by Alan Flannery Furniture Design, a design studio based in Bristol, United Kingdom. 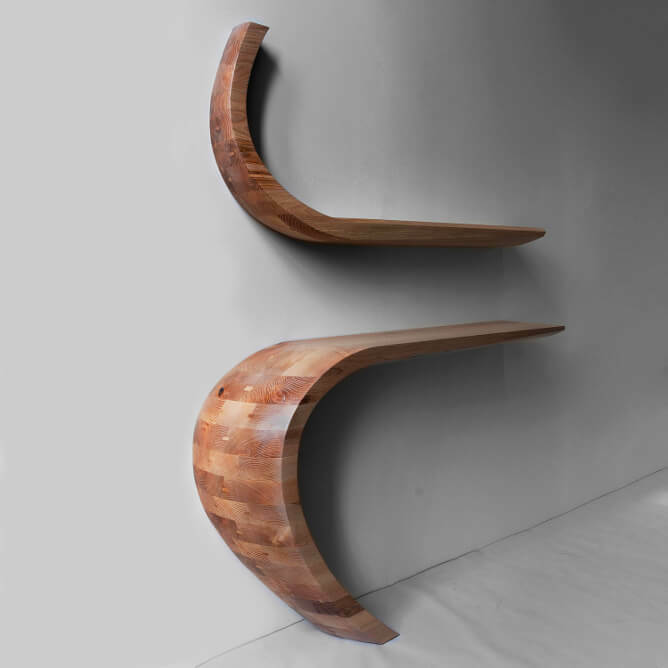 Inspired by the forces, processes and beauty of the natural world the studio set about to design and create a table that reflected these influences in furniture-form. 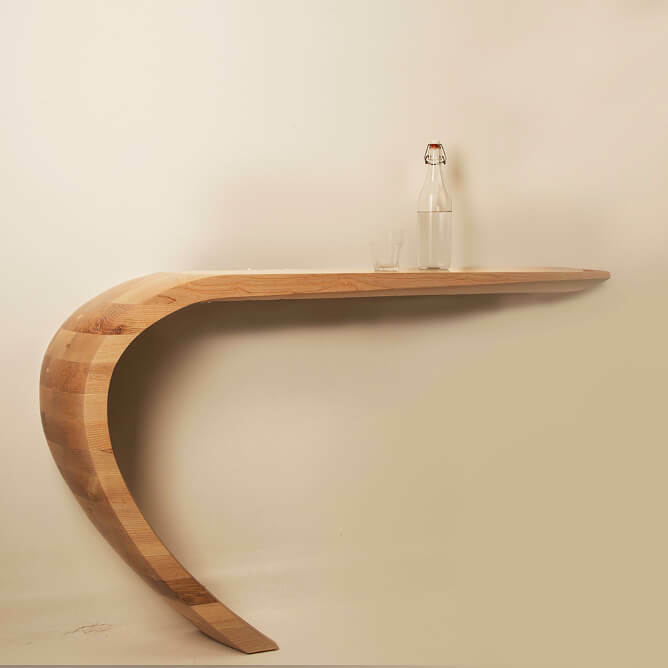 The console table and matching wall shelf/mirrors are the latest instalments leading on from the tephra coffee table, created in 2016.